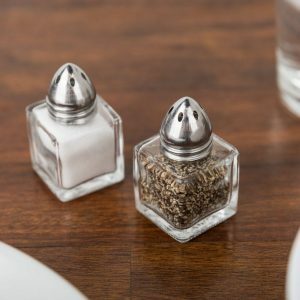 Our Mini Salt and Pepper Shakers are cute and modern looking. These small S&P shakers are perfect for tables where space is limited or for catered events where some spice is desired on the tables. Each mini shaker holds .5 oz. 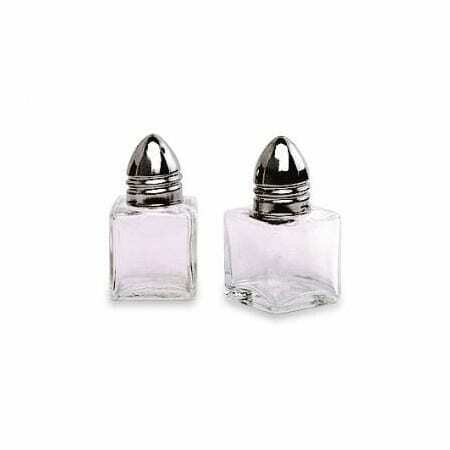 We also carry 1 Oz Salt and Pepper Shakers as an alternate choice of S&P shakers. Made of glass in an Eiffel Tower shape, their height and style add substance and elegance to your table setting. This item rents in sets of 2 (1 salt/1 pepper) and comes with salt and pepper.